University students have raised more than £2,000 for four homeless charities across Sheffield by braving a night sleeping in the cold. A number of campers decided to sleep out in temperatures as low as zero degrees to raise awareness on how many homeless people sleep rough every night. It is estimated that approximately 35 people sleep rough each night in Sheffield, seven of which are under 25. People sleeping on the street are 17 times more likely to be subject to violence, and nine times more likely to take their own life. Steph Lake, the charity secretary for the geography society at The University of Sheffield said: “No one should have to sleep rough. We only slept out for one night, in the knowledge that we had somewhere safe and warm to go back to today. 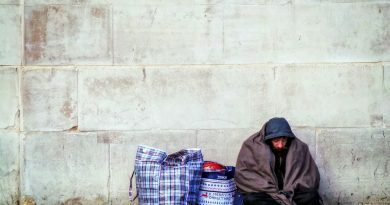 Last year, 207 cases of people sleeping rough were documented in Yorkshire and The Humber alone and have steadily been increasing ever since 2010. Joshua Crosby, 27, who often sleeps rough said: “It’s just dehumanizing. I don’t want to beg and ask for money, but I don’t have a choice. “Most of the time people won’t even look at me.